On September 30, 2006, eight-time Mr. O Ronnie Coleman was defeated by long-time rival Jay Cutler. The following is an excerpt from the December 2006 issue of Flex Magazine. Read on for more. The following is an excerpt from the December 2006 issue of Flex Magazine. 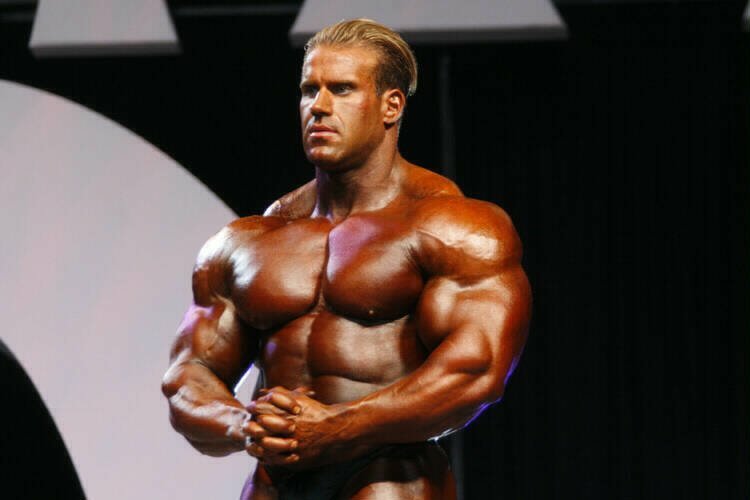 Jay Cutler Is Mr. O! The seemingly impossible became reality, as a reigning Mr. Olympia champion was dethroned. 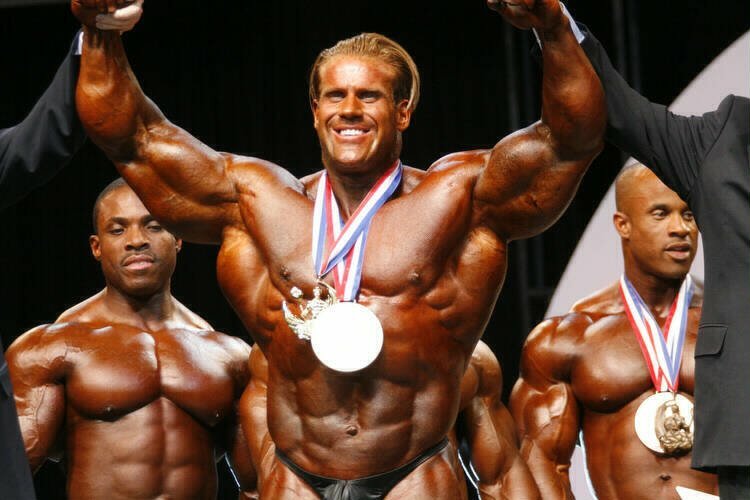 Here is the inside story on Jay Cutler's win over Ronnie Coleman. There's this thing that happens when you're a witness to history. It's this feeling you get down deep, a little bit in your gut and a lot in your throat - the kind you get after your first kiss and before your last goodbye. It's nothing palpable; you can't see it or taste it or hear it or smell it. Still, it seems tangible in the way it jolts your consciousness like a sudden blast of icy water during a hot shower. It's the way people around the world felt as they watched the toppling of the Berlin Wall. It's what sports fans experienced as the final seconds of the third period ticked away during Team USA's improbable win over the Soviet hockey machine at the 1980 Olympics. It's the way you feel when no one has to tell you that this thing that's happening here and now is monumental and will be remembered, rehashed and revered for generations to come. 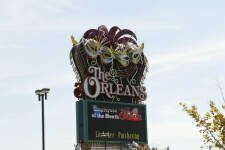 That feeling, hard as it is to describe, is nonetheless the way 6,500 screaming, jumping, laughing and (in some cases) crying bodybuilding fans felt on Saturday, September 30, 2006, at 9:17 PM at Las Vegas' Orleans Arena as they took a straight shot of bodybuilding history square in the jaw. "I will now announce the winner of the 2006 Mr. Olympia," intones emcee Bob Cicherillo. 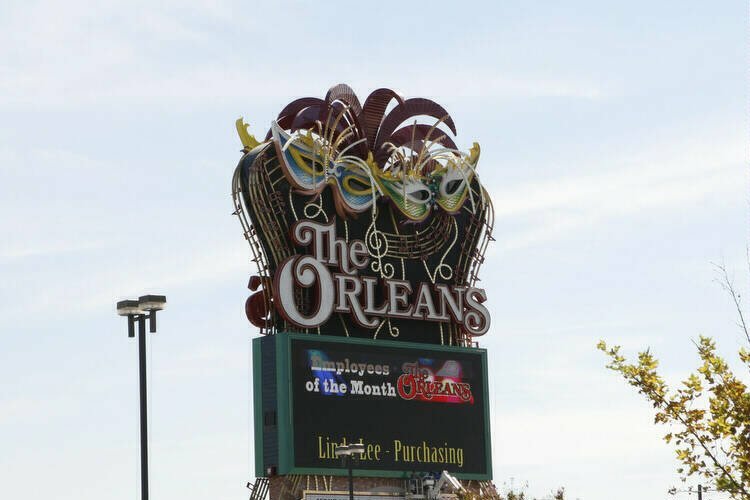 Gustavo Badell, Melvin Anthony, Dexter Jackson and Victor Martinez, the sixth- through third-place finishers, flank the Orleans stage, with red, white and blue ribbons weighted with achievement medals draped across their billowing chests and oversized foam-core checks in hand. Gustavo & Melvin With Their Checks. 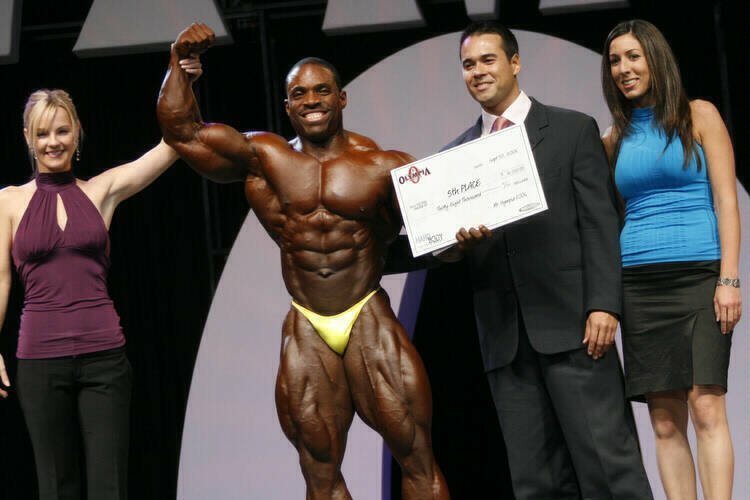 IFBB president Ben Weider, AMI CEO David Pecker, Flex Wheeler of Hardbody Entertainment (the event's main sponsor) and eight-time Mr. Olympia Lee Haney stand just out of the spotlight, ready to congratulate the 2006 champ. Cicherillo and co-host Shawn Ray remain pokerfaced, careful not to reveal the result they were just handed. "The next name you hear will be the winner of the 2006 Mr. Olympia," Cicherillo reiterates for dramatic effect. Ronnie Coleman and Jay Cutler stand a half-dozen feet apart at center stage, awaiting the announcement that will profoundly affect not just their own careers and lives, but the future of the sport in which they are the two top dogs. Coleman is the reigning eight-time Mr. Olympia, a man considered unbeatable by the vast majority of his peers. Cutler has placed second to Coleman in the mother of all contests on four occasions - in 2001, 2003, 2004 and 2005 - and is looking to overcome not just Big Ron, but almost insurmountable odds. After all, a reigning Olympia champ hasn't been unseated on the O stage since 1984, when Haney did it to Samir Bannout. But Bannout was a one-year champ and not tied (as Coleman was with Haney) for the most Sandows in history. The decks were stacked against Cutler, and in Las Vegas, that's a tough spot to be in. For the rest of FLEX's comprehensive coverage of the historic Mr. Olympia upset, pick up the December 2006 issue, on newsstands November 14.